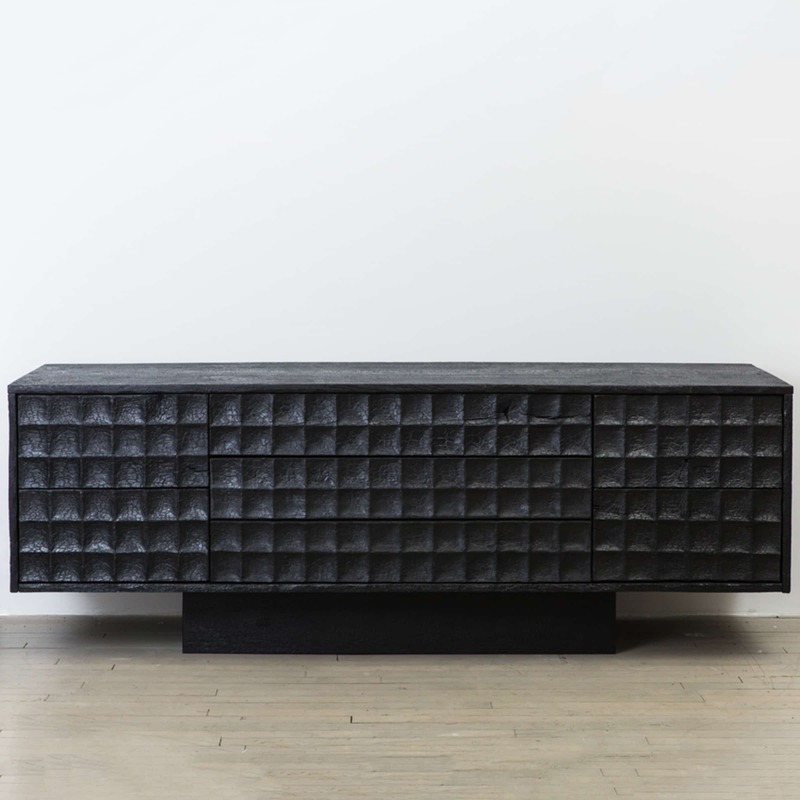 The Pure Black Console is the third piece in Yard Sale Project’s new Pure Black series. 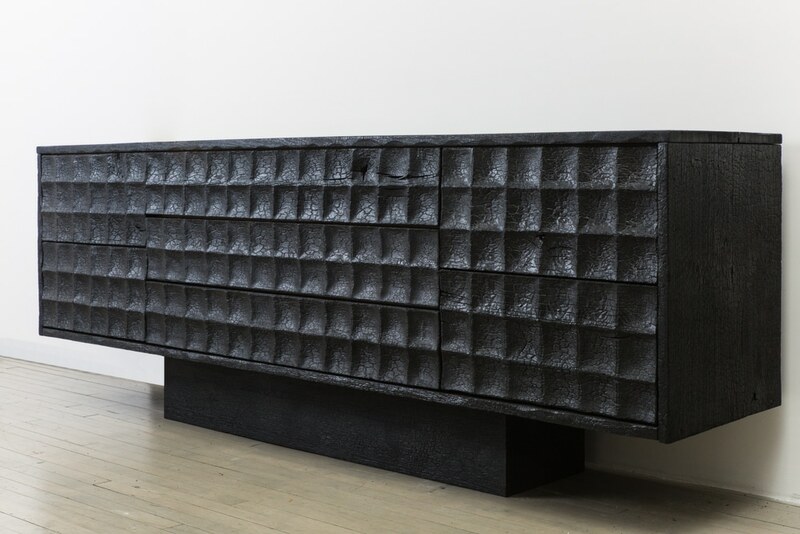 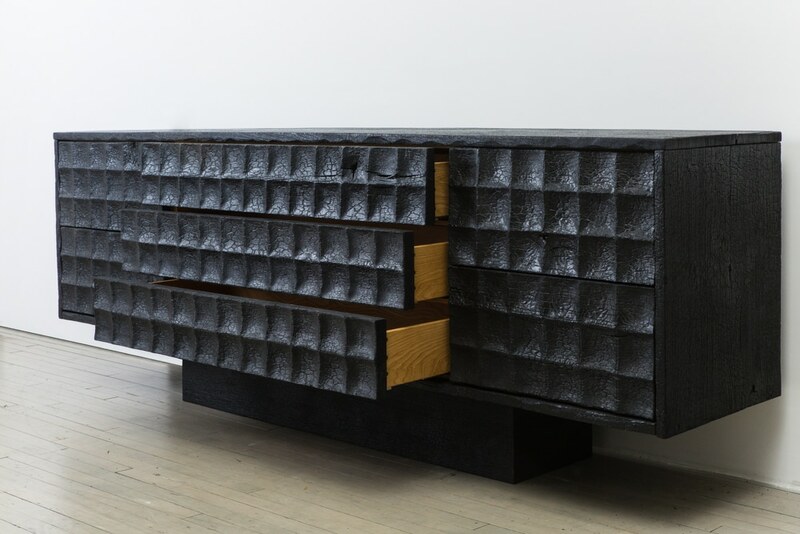 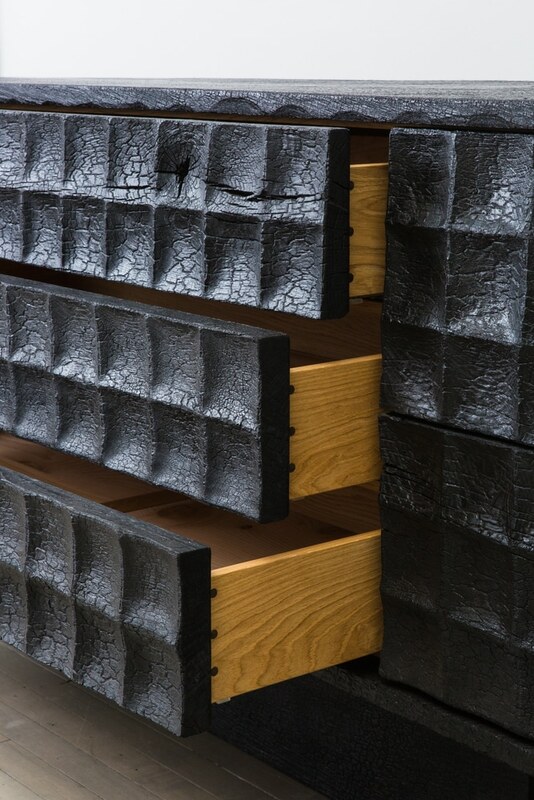 It is made from Oak, with Cedar of Lebanon drawer bottoms.The wood is finished using the shou-sugi-ban method, an ancient Japanese finishing technique that preserves wood by charring it with fire. 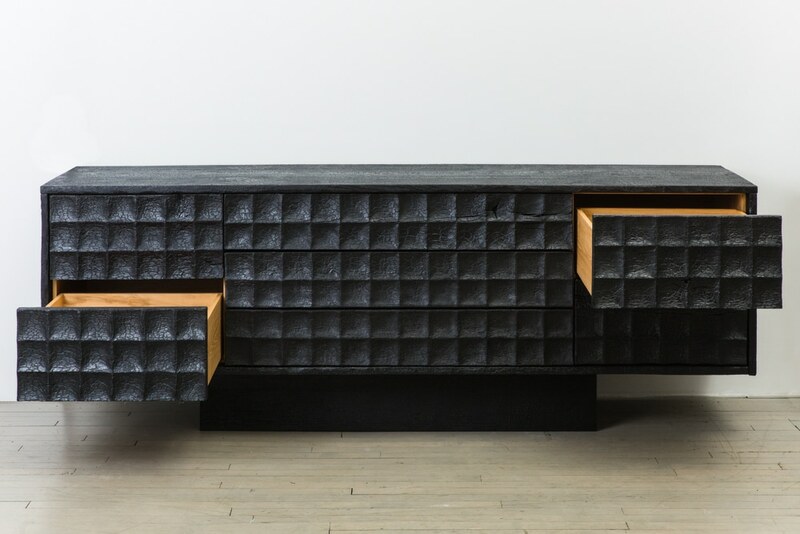 In addition to being aesthetically striking and elegant, the finishing technique renders the wood rot, pest, water, UV, and fire resistant. 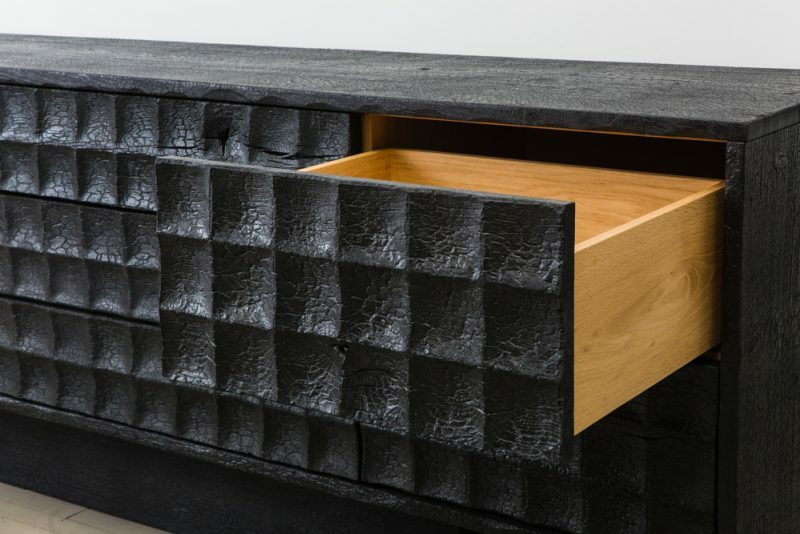 The Pure Black series explores the contrasts that exist within materials. 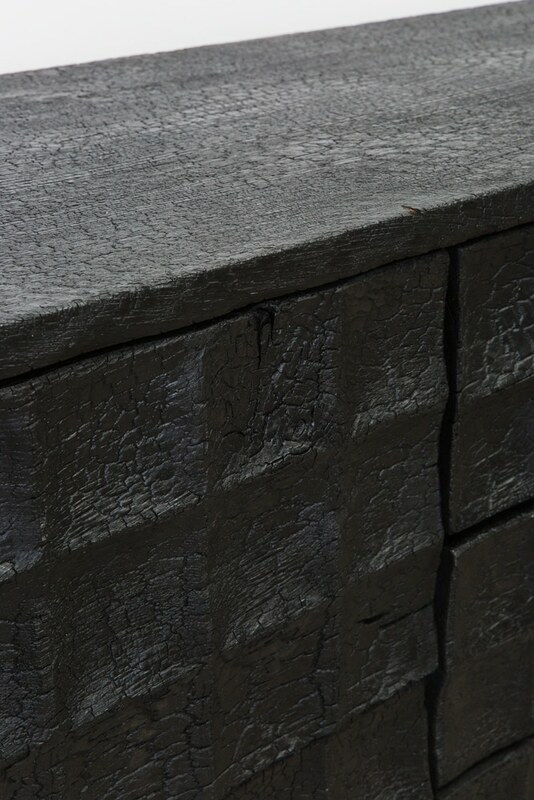 Oak is a beautiful light brown timber, renowned for its use in all aspects of timber construction from houses, Tudor warships and medieval churches, through to today’s best wooden pieces. 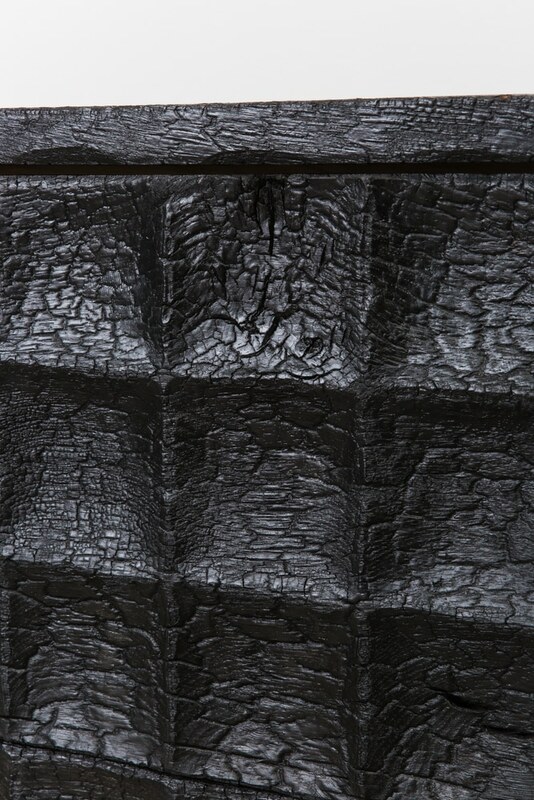 To burn it would appear to show contempt for such a tradition, but in fact burning has traditionally been used for preserving exterior timber surfaces, and has almost no effect on the strength, as the timber is only scorched for the first 1/16th of an inch. 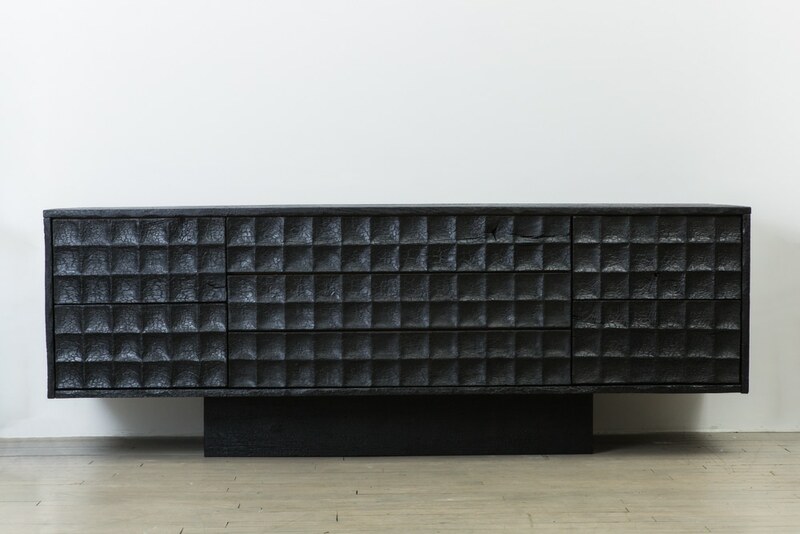 Pure Black represents a new direction for Yard Sale Project in our continuing search for the new and exciting within the world of furniture.